The Kariba dam leaves the descendents of the 57,000 Tonga people which were resettled with force still impoverished nowadays, after 60 years from its construction. After spending 60 years studying the Gwembe Valley, the expert on dams Thayer Scudder (2005) concludes that overall the Kariba dam brought "unacceptable environmental and social impacts" . The main victims, the 57,000 Tonga people which were resettled with force and are still nowadays left impoverished. "Intermittent hunger, rampant alcoholism, astronomical unemployment, […] illegal drug cultivation, smuggling, elephant poaching, pimping and prostitution"  are among the symptoms of the social troubles that those communities, once self-sufficient, are experimenting today as an outcome of what at the time of construction was the dam financed by the largest loan that the World Bank had given up until that time. Apart from the serious environmental degradation brought by the interruption of the natural river flow, Scudder individuates also others factors of such negative outcomes: "inadequate institutional capacity, inadequate opportunities, adverse rural-urban terms of trade, the war for Zimbabwe's independence and the bankruptcy of the political economy of Zambia". 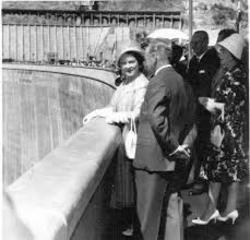 The planning started in 1946 by British colonisers, and its initial purpose was to provide electricity to the regional copper industry and urban industrial centres in what at that time was called Rhodesia. Construction began in 1956 and the reservoir reached full storage capacity in 1963. Before the villages were flooded, little information was given to the affected communities, whose villages were burned by colonial authorities and destroyed by means of trucks. Some resisted resettlement but were defeated by in a short battle know as the Chisamu War . As today, villagers still lack electricity. Moreover, the dam is at risk of failure   , due to structural issues. Apparently, engineers from the Zambezi River Authority revealed that the plunge pool below the dam - i.e. the area where the water is released after passing through the dam's spillways - has deepened excessively, compromising the stability of the structure's foundation. Institute of Risk Management South Africa (IRMSA), 2015. Impact of the failure of the Kariba dam.